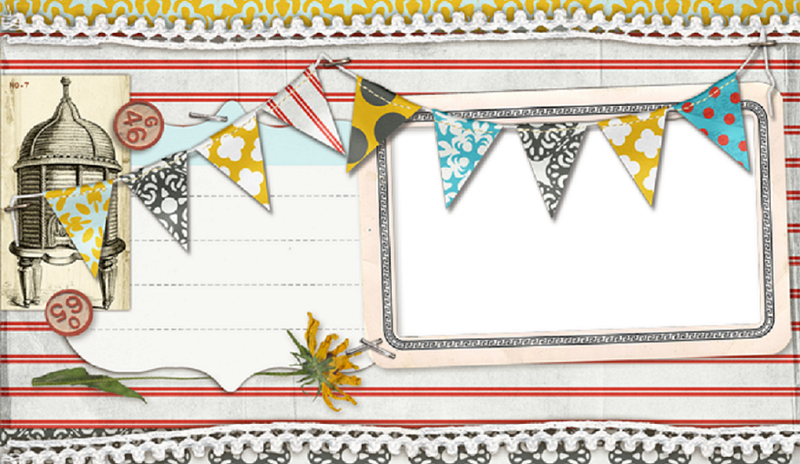 Well, we're back from CHA with lots of ideas and "visions of cute papers & embellishments dance in our heads"! 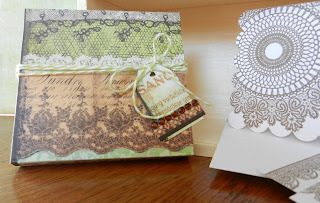 Stop by Saturday, Jan. 19th between 10am & noon to make three scalloped 3x3 cards cut with Taylored Expressions new die - then stamp with a lace doily from Fun Stampers Journey. 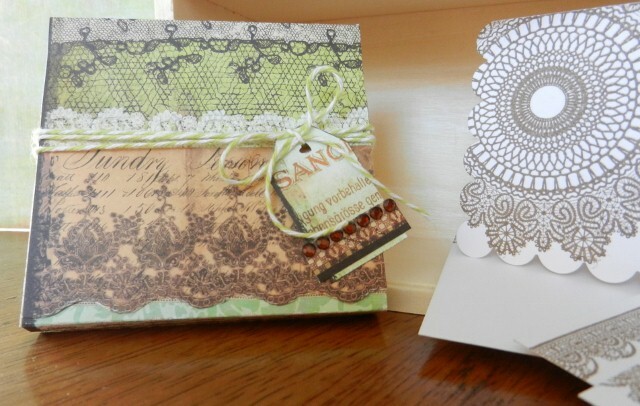 Add matching envelopes and tie them all up inside a lace patterned box. All this for only $5! Everyone is really enjoying Debbie's Saturday make n takes. Come check it out!